The Ann Arbor area is a community packed with activity, opportunity and adventure, from the outdoor vistas in Pinckney Recreation Area to the heart of bustling downtown Ann Arbor. And if you know where to go, many of these activities don’t cost much at all. It’s always nice to save a few bucks, so next time you’re looking for something fun to do under $20, consult our list that includes free experiences and budget-friendly adventures. Enjoy! Admission to UMMA is always free, but if you’re able, a $10 suggested donation is appreciated. 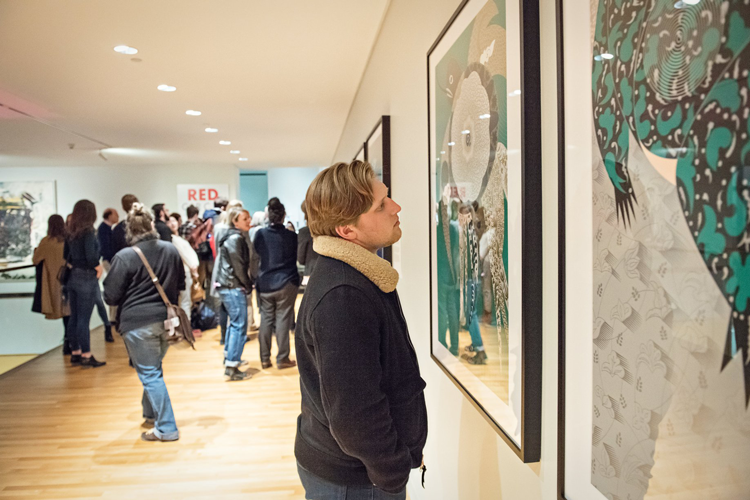 Inside, you’ll get to view and learn about more than 20,000 artworks. This collection represents more than 150 years of art collecting and is one of the oldest in the country! The home of JIFFY Mix and the industrial heart of Chelsea, Michigan, tours of the Chelsea Milling Company are free and open to the public with a reservation. Your one-hour journey through the factory includes an inside look at the packaging plant, a video presentation, refreshments and a product sample. Yes, that means you get to enjoy a free muffin, too! This educational facility on the north side of Ann Arbor encourages sustainability, understanding and regular nature encounters. Join the fun and visit the grounds, trails and raptor enclosures outside any day from sunrise to sunset. The Critter House is open most Sundays from 10 a.m. – 1 p.m. and allows you to observe frogs, turtles, snakes and more. 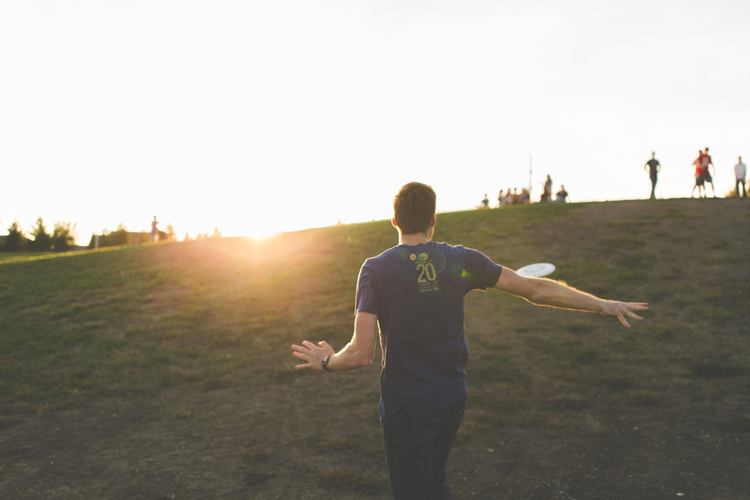 With the exception of buying a frisbee or two, this outing is completely free and can be enjoyed over and over again! Bandemer Park and Mary Beth Doyle in Ann Arbor both offer disc golf courses and Rolling Hills Park in Ypsilanti has an 18-hole course. For more outdoor options, check out our blog post 8 Things to Do in the Ann Arbor Area for Outdoor Enthusiasts. Both the gardens and the arboretum are admission-free, but if you decide to drive, you’ll have to pay $1.70 per hour for parking at Matthaei with a $5 daily maximum charge. The University of Michigan ice arena, Yost Ice Arena, offers programs like Public Skate, Noon Skate and Sticks-n-Pucks. All three allow you to skate at one of the most recognized and iconic rinks in college hockey! Public Skate admission is $6 for adults and $4 for students, kids and U-M faculty. For $3 more dollars, you can rent skates, too! And Noon Skate prices are even lower. Get all the pricing details here and be sure to check the arena schedule before you go. General admission is $6 with discounts for seniors and children under 23 months. 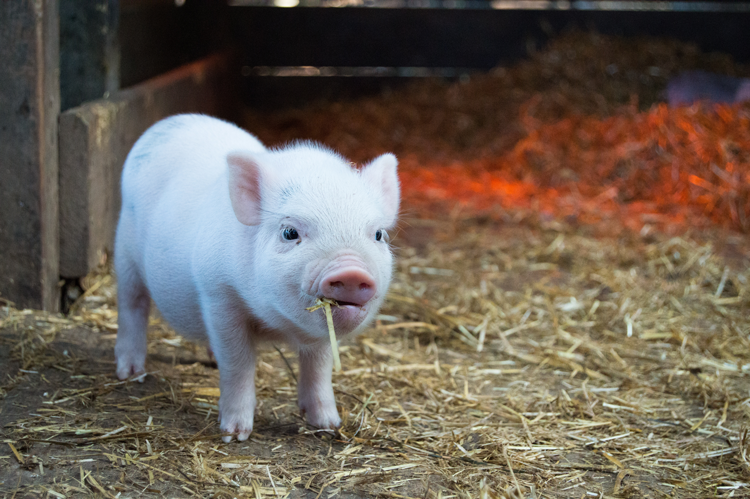 You can also get bags of animal feed for $2 and ride a tractor for $2! The Michigan Theater Foundation was founded in 1979 to save the Michigan Theater from the wrecking ball — and we’re so glad it was. 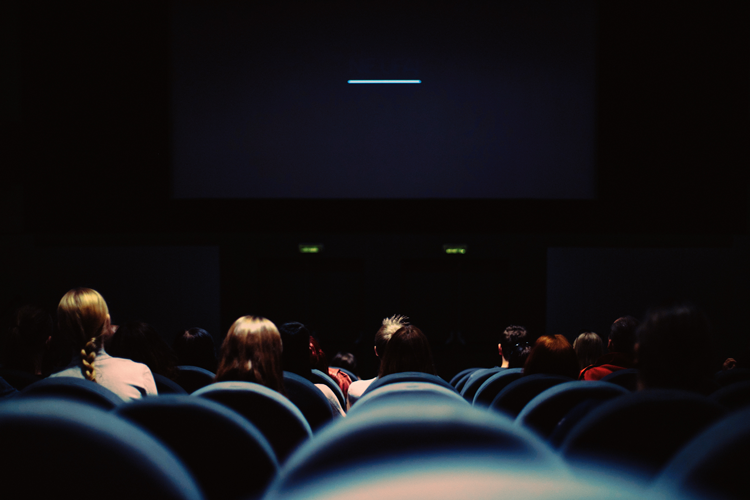 Today, this historic theater and the State Theater offer regular showings of indie movies, limited releases, special screenings and more. Matinee tickets are $7 and regular ticket prices start at $8. To see the calendar for both theaters, click here. Boasting some of the most impressive outdoor recreation areas in the state (like Pinckney and Waterloo just outside of Chelsea), Southeast Michigan is filled with opportunities to explore the great outdoors. Non-residents can purchase a day-use pass at the entrance to the park for just $9. But Michigan residents have the opportunity to purchase the Recreation Passport for just $11 when bought with your annual license plate renewal. This lasts all year long and comes down to just 3 cents a day! For more information on admission, click here. And, for ideas on what to do once you get to the park, check out our blog post 8 Things to Do in the Ann Arbor Area for Outdoor Enthusiasts. The Ann Arbor Hands-on Museum specializes in interactive exhibits with the goal of helping both children and adults discover the scientist within. Visiting the museum any day of the week means you can explore exhibits like Michigan Nature, Lyons Country Store, MediaWorks, and DTE Energy Foundation Light and Optics. General admission is just $12.50, members are admitted for free, and admission is just $5 after 5 p.m. on Thursdays! Gallup Park Canoe Livery in Ann Arbor’s Gallup Park offers canoe, two-person kayak, one-person kayak, kid kayak, paddle boat, and rowboat rentals plus concessions, merchandise and river-themed programs. Though some of these programs and rentals exceed $20, you can rent a one-person kayak for two hours for just $15, two-person kayaks and canoes for two hours for $20, and a paddle boat for one hour for $12. All of these will allow you to get on the waters of the 2.5-mile Gallup Pond! 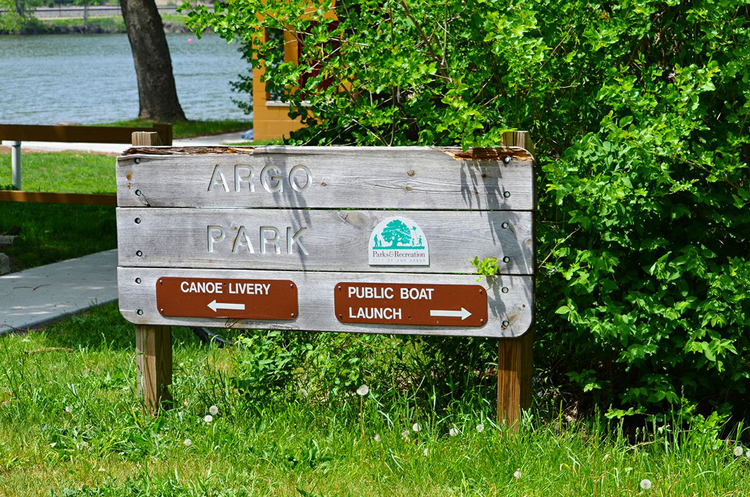 Up the river from Gallup Park, you’ll find Argo Park and the Argo Canoe Livery which offers similar programs and rentals. Here, you have the opportunity to explore the waters of the two-mile Argo Pond in rented one-person kayak, two-person kayak, canoe or stand up paddleboard. For full pricing details, click here. Originally opened in 1984, this comedy favorite offers a lineup of up-and-coming stand-up stars as well as nationally touring acts. The 18+ venue has hosted Tim Allen, Drew Carey and Ellen DeGeneres in the past, and has a calendar full of events every single weekend! Purchasing tickets online in advance is the best price option, offering tickets for just $14. If you purchase tickets at the door, you’ll pay $16. And unlike many comedy venues, there’s no drink minimum at Ann Arbor Comedy Showcase so you won’t need to spend more once you’re inside! Zap Zone is an Ann Arbor destination for play, including laser tag, bumper cars, arcade games and a virtual reality zone. Prices for each activity begin under $20 and three laser tag games costs just $18 per person! Do you have local tips? Tell us all about your favorite budget-friendly activities in the comments below!